My parents are living in Germany right now, so my kids and I decided to start learning some German. It was fun to see how many of the German words sprinkled throughout this book I recognized. I had to laugh when I looked up "Das Geschaft" and found out it simply means "the business." The first chapter of the story was very intriguing, and I think I would have loved the whole book if it continued that way. Sadly, it did not. The relationship between Haley and Joshua just felt forced to me and there was no spark at all. I found myself confused for pretty much the whole book as to what exactly Das Geschaft's purpose was. I wish that the author had put in more backstory for them as well as for Haley's reason for her relationship issues. Things did pick up a bit during the climax, but it was just not quite enough to save the story. 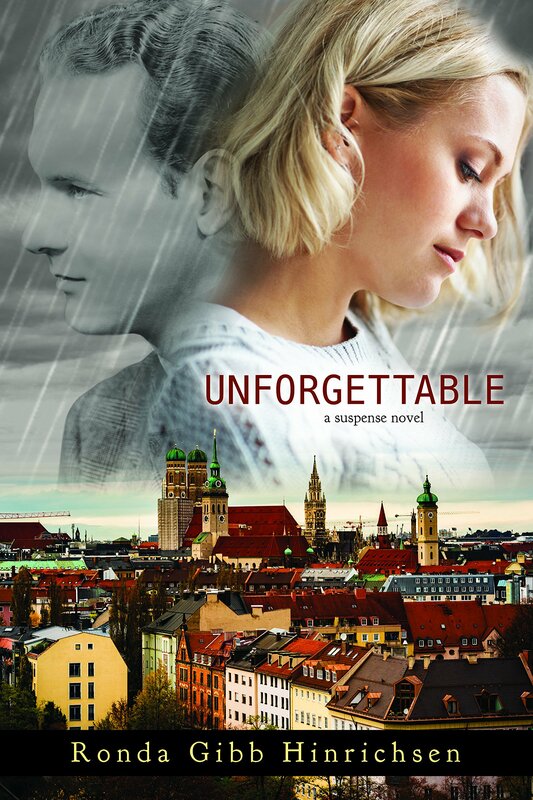 The description of Unforgettable was intriguing, and when it arrived in my mailbox I was drawn to the cover. The first chapter immediately pulled me in! I can't even imagine being in a situation like that (either on Ulrich's side or Ilse's). I was so sad for Ulrich and his family. I had high hopes for Haley's journey, and the suspense kept me going for a few chapters. Sadly, the level of intensity didn't hold throughout the book. The characters (both good and bad) lacked depth. The occasional use of German words when there was an English equivalent bothered me. I'm sure that doesn't come across the way I intend it, but it's a pet peeve of mine when foreign conversations are "translated" to English, but then a foreign word is thrown in for things like "thank you" and "no". Pet peeves are hard to adequately explain. Joshua was a hard sell for the romantic lead. He was very helpful, but there just wasn't enough to him to make me swoon. There could have been. His career is quite manly (fireman), and he seemed like a good guy. There just wasn't depth, and I think the author's dropping of "g"s in a lot of his dialogue made him sound uneducated or something. Aside from my hangups, this was a quick, clean read with a plot that had potential.